Infused with brightening, toning, and hydrating ingredients, this multi-functional toner balances the pH mantle of the skin following cleansing. 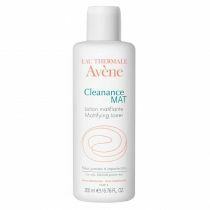 Apply AM and PM all over face, neck, and décolleté. 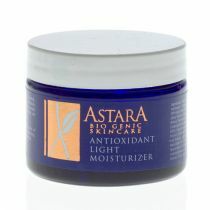 Follow with Activated Antioxidant Infusion and appropriate replenishing moisturizer. 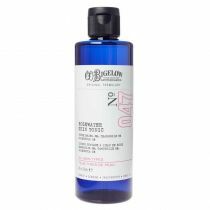 Infused with brightening, toning, and hydrating ingredients, this multi-functional toner balances the pH mantle of the skin following cleansing. Calms and provides the perfect preparation to receive further nutrition. Astara Toning Essence balances the pH mantle of the skin following cleansing. Helps in treating dry or dehydrated skin, eczema, dermatitis, and reducing the appearance of age spots. 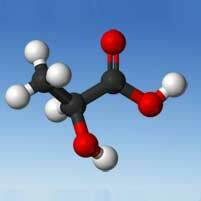 Lactic acid is an alpha hydroxy acid. Gentler than other AHAs it has a moisturizing element that the other exfoliating acids lack. Lactic Acid exfoliates dead skin, encourages cell renewal, aids in regulating pH and helps reduce hyper-pigmentation and reducing fine lines. Containing a complex array of vitamins, minerals, and antioxidants, rose essential oil has excellent emollient properties for moisturizing dry skin; it also offers antiseptic and astringent properties to treat acneic skin, as well as anti-inflammatory properties that help treat redness and inflammation. Water (Aqua), Hamamelis Virginiana (Witch Hazel), Lactic Acid, Cucumis Sativus (Cucumber) Fruit Extract, Sodium Lactate, Isoceteth-20, Sodium Hyaluronate, Panthenol (Pro-Vitamin B5), Aloe Barbadensis (Organic Aloe Vera) Leaf Juice, Camellia Sinensis (Green Tea) Leaf Extract, Vitis Vinifera (Grape) Seed Extract, Vaccinium Myrtillus (Bilberry) Extract, Silybum Marianum (Milk Thistle) Extract, Pinus Pinaster Bark (Maritime Pine) Extract, Ginkgo Biloba Extract, Ascorbic Acid (Vitamin C), Citrus Grandis (Grapefruit) Peel Oil, Geranium Maculatum Oil, Cymbopogon Schoenanthus (Lemongrass) Oil, Citrus Nobilis (Mandarin Orange) Peel Oil, Rosa Damascena Flower (Rose) Oil, Jasminum Officinale (Jasmine) Oil, Potassium Sorbate, Phenoxyethanol, Caramel, Lactic Acid.